Munich, Germany, 22 October 2018 – Pre-operative treatment with a combination of the immune checkpoint inhibitors nivolumab and ipilimumab achieves major pathological responses in 100% of early-stage colon cancers with mismatch repair deficiencies, according to results reported at ESMO 2018 (1) from the first exploratory phase II trial to investigate this approach. Restoring patients' immune response against cancer cells with checkpoint inhibitors is an established treatment strategy for several tumour types. These agents are of particular interest in mismatch repair deficient (dMMR) tumours because they have high mutational load and upregulation of immune checkpoints (2). In contrast, no major pathological responses were seen in pMMR tumours, however there were significant increases in T-cell infiltration. The immunotherapy regimen was well tolerated and all of the patients underwent radical resection of their tumours without delays in surgery. "This is the first study with immune checkpoint inhibitors in early stage colon tumours. 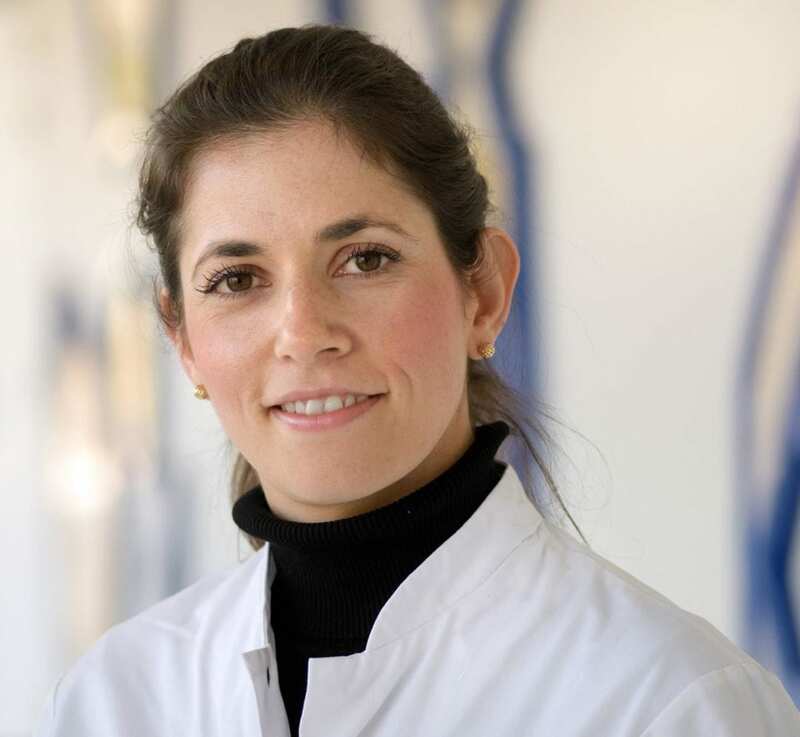 Our data suggest that neoadjuvant immunotherapy in dMMR colon cancer warrants further research and has the potential to change the standard of care," said lead author Dr Myriam Chalabi, from the Netherlands Cancer Institute, Amsterdam, Netherlands. She commented: "The response we saw is much more dramatic than in metastatic disease, which we did not expect." "For MMR deficient tumours, the results were amazing, with 100% of patients so far having either complete or near complete responses within the short timeframe of treatment, which is usually 4 weeks," she continued. "I think the finding will have implications for clinical practice in the future. At this stage, it's too early to call it practice changing but it could be if similar results are seen in larger studies." Commenting on the study for ESMO, Dr Aurelien Marabelle, Clinical Director of the Cancer Immunotherapy Program at the Gustave Roussy Cancer Centre, Villejuif, France, said: "The study positions immunotherapy at an earlier stage of the disease history for patient with localised disease, and, interestingly, in the neo-adjuvant setting as opposed to the adjuvant setting that is now approved in melanoma and non-small-cell lung cancer." Marabelle cautioned that the study was small, not randomised and there was no control arm of patients not treated with immunotherapy. He said: "Limited data are available but if they show complete pathological responses in the neoadjuvant setting, this therapeutic strategy might become standard of care for dMMR colorectal cancer." He added that dMMR tumours are more frequent in localised cancers (~15% of patients) than at the metastatic stage (~5%). Marabelle considered that the finding of some activity with immunotherapy in pMMR tumours in early colon cancer was also potentially interesting. He said: "pMMR CRC does not usually respond to immunotherapy in the metastatic setting. If the researchers find that immunotherapy improves tumour shrinkage preoperatively or reduces post-surgery relapse in patients with pMMR early stage colon tumours, this treatment strategy might be of broader interest and impact a lot of patients because of the high frequency of colorectal cancer." Background: Programmed death 1 (PD-1) and CTLA-4 blockade demonstrated durable clinical benefit in patients with advanced mismatch repair deficient (dMMR) colorectal cancer. This is the first neoadjuvant study to test ipilimumab (anti-CTLA-4) plus nivolumab (anti-PD1) in early stage dMMR and MMR proficient (pMMR) colon cancers (CC). Methods: Patients with resectable, early stage CC received ipilimumab 1mg/kg on day (D)1 and nivolumab 3mg/kg on D1+15. Surgery was planned a maximum of 6 weeks after informed consent. Primary endpoints were safety and feasibility. Secondary endpoints included: efficacy assessed by pathological response criteria, and associations between response and tumor mutational burden (TMB), interferon (IFN)y gene signatures, T-cell infiltration and T-cell receptor (TCR) clonality. Conclusions: Short-term, neoadjuvant ipilimumab plus nivolumab resulted in major pathological responses in 100% of dMMR tumors and did not compromise surgery. While dMMR status and TMB were associated with response, pre-treatment measures of tumor inflammation may have limited predictive value. Our data suggest that neoadjuvant immunotherapy in dMMR CC warrants further research and has the potential to change the current standard of care.